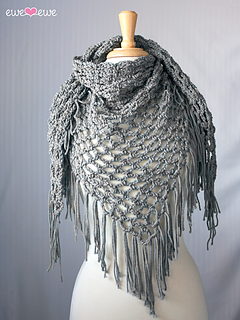 Get your groove on in this modern crochet wrap. 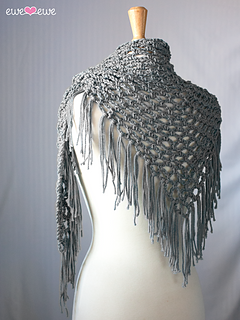 This shawl is a great transition for a knitter that knows how to crochet but maybe doesn’t do it all the time. It’s a pleasure to work and a ton of fun to wear! 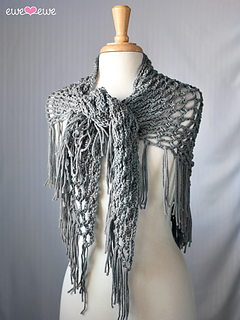 Measurement: 75” wingspan; 24” from neck to point after blocking and excluding fringe. Gauge: 4 dc clusters to 4”.